Eek! 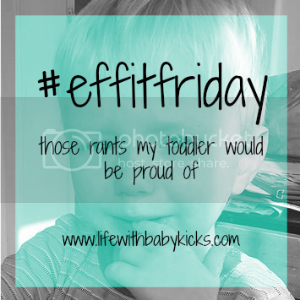 Blog post of the week for #effitfriday over at Life with Baby Kicks! I’ve got that Friday Feeling people!! The Gin is poised on the kitchen side ready for the clock to strike 7pm, the tonic is chilling out in the fridge and my slobbing pjs are laid out on my bed in anticipation of the almighty weekend!!! Anyhow, I’ve woken up to the smashing news that I’ve had a blog post featured as “post of the week” over on the lovely blog, Life with Baby Kicks. I submitted my rant about the bog roll never being replenished and it apparently made Laura laugh so much she spat her wine out. THAT’S RIGHT PEOPLE!! I MADE A MUM IN DIRE NEED OF WINE SPIT IT OUT DUE TO LAUGHING SO MUCH! Fabulous! But aren’t you jumping the gun a bit? Gin and PJs waiting? Good for you. I actually had a fine bottle of red wine in my hand, with the top off, at 11am this morning – sadly I had to resist a swig and had to pour most of it into the slow cooker for tonight’s supper…..
And congrats on another wonderful blog achievement. ….. By the way, I had just got to know you as Doris Knutt, now I find you are using an alias, according to a previous post! You’ve been blogging for a while – I wondered how you make the lovely photos and art work on your site – eg the green baby photo superimposed with effitfriday? 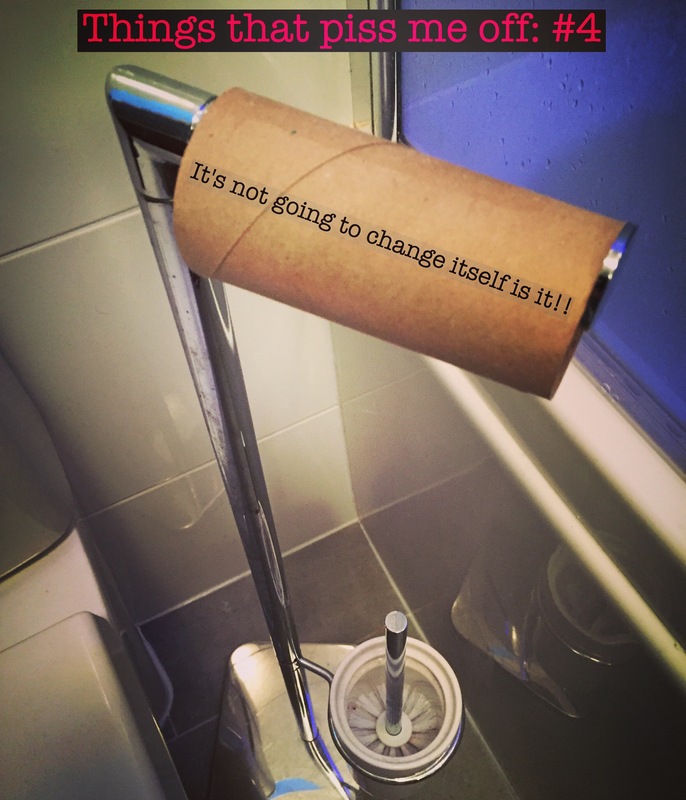 And blogroll – I’ve never touched mine – do you advise me to change it? So, when you’ve put down the gin bottle, it’s over to you! Thanks, Doris. You are such a fab blogger, I’m sure you will be famous one day…..
Phew. Yes, now I feel much better.